Why did I remember to stop by on this trip? None other than the fact that a friend informed me that they now have a Shake Shack (another first for me) in their Dining Concourse in the lower level. Seriously. A Shake Shack brought me to Grand Central. I’m not even joking. 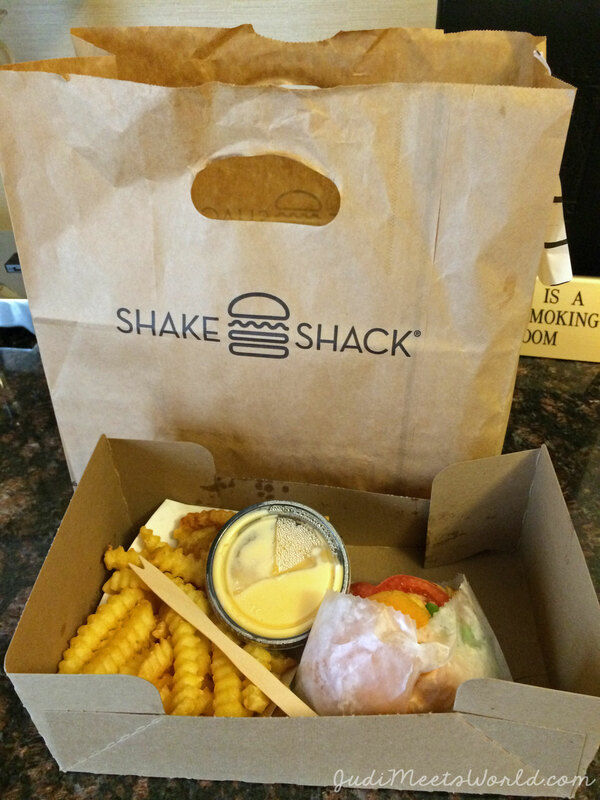 Shake Shack, now also in other states and international locations, has humble beginnings at Madison Square Park. Every time I have tried to visit a Manhattan Shake Shack, I knew by the lines it would be an hour and a half minimum wait. Was it worth it to wait that long? 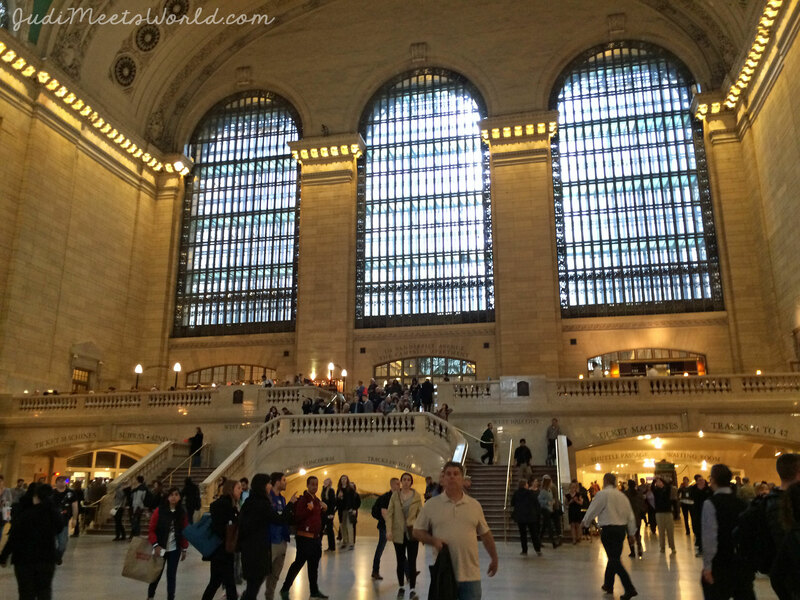 Going to the new one in Grand Central Station wouldn’t be as busy – plus I get to check off a new experience. In the event I’d have to wait an hour and a half, at least I’d be somewhere I hadn’t been before. I was pleased to see a vegetarian burger, the ‘Shroom Burger, as I was checking their menu online. I also opted to get cheese fries. The melted cheese paired well with the fries, but weren’t my favourite fries. Perhaps this is from being Canadian, and having poutine reign supreme over all other fries. The burger was phenomenal. I understood the hype. I’d probably wait that hour and a half, if I had to, to get another one on my next trip. I digress. Back to Grand Central. If you’d like to read more into the history of Grand Central Terminal, you can do so via Grand by Design – a NY Transit Museum celebration. The exterior made me think it was a cross between a post office, a library, and a old theatre. It’s a majestic sight to see an older building that has withstood eras in contrast to all the glitz, glamour, and glass buildings all along midtown and surrounding areas. I chose to explore the station before hopping back onto the subway and eating my meal at the hotel (it was far too crowded in the Dining Concourse). 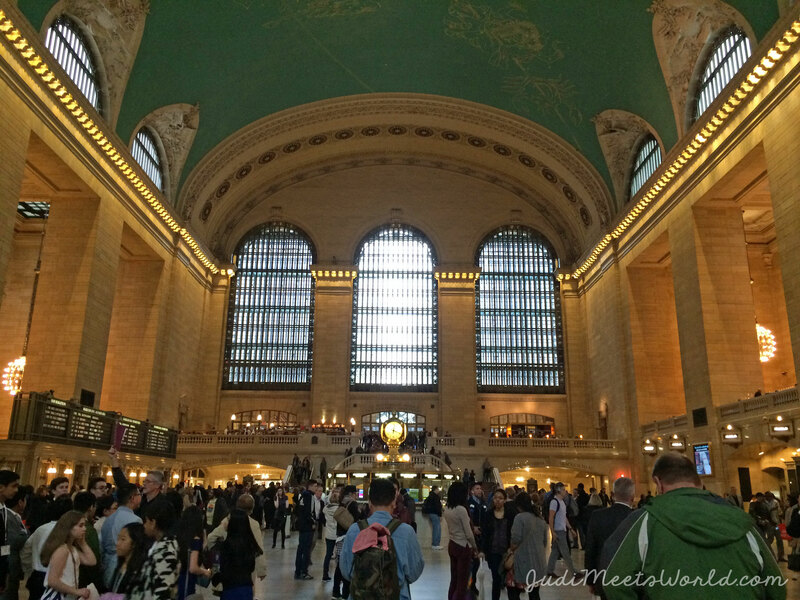 I was overwhelmed with the hustle and bustle of Grand Central. People buying tickets, people coming in from their trains. Much like an airport arrivals area, there was constant movement and noise. There was, however, something elegant about train travel, that arriving in NYC through this station is also a quick trip back into history. I can only imagine how travelers feel stepping out from the classic building to the streets of midtown Manhattan, nonetheless if it’s their very first visit to the city. 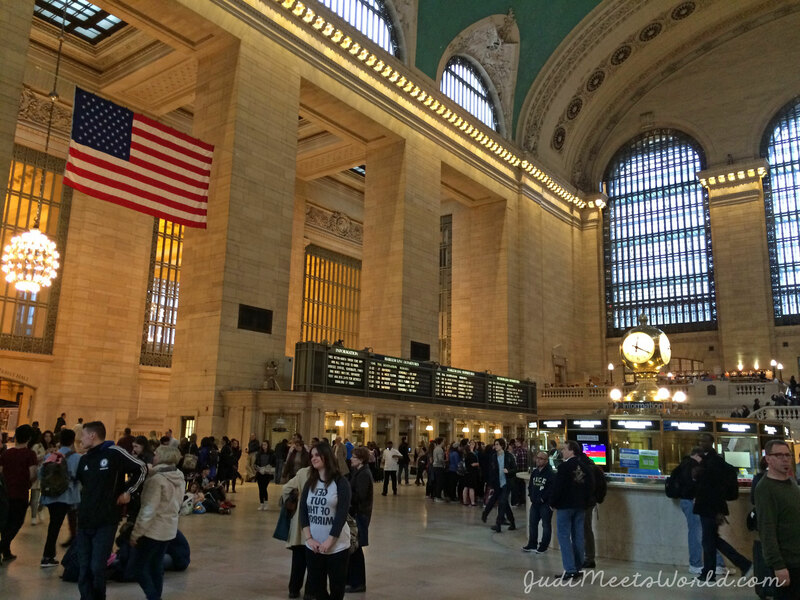 The history and beauty of Grand Central, and the feeling of stepping back into time (even if you have a very contemporary veggie burger meal from Shake Shack in hand), made this cloudy NYC afternoon a day of firsts for me. 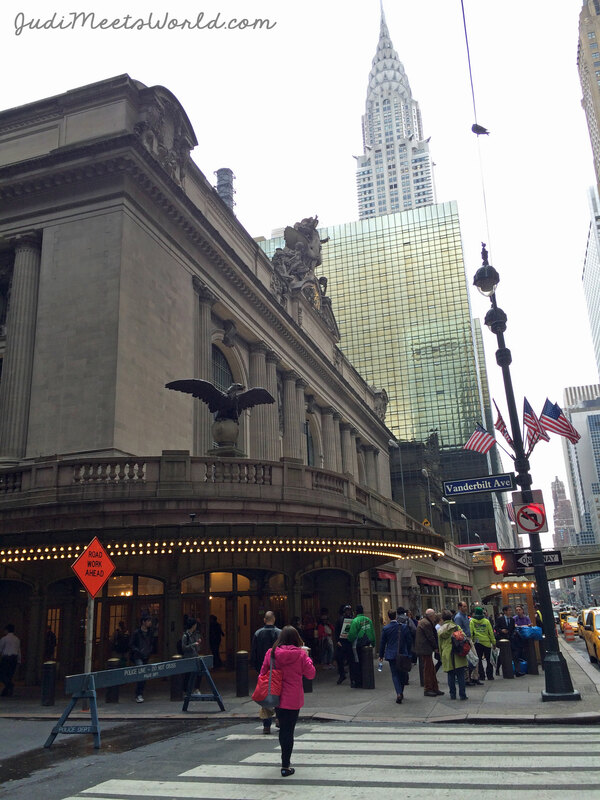 Perhaps my next interaction with Grand Central will be arriving by train? How charming!